Most of us are still confused with the story of Hadoop and Cloudera and how both are related to one another. Doug Cutting, the brilliant mind behind creating Hadoop technology, is currently the Chief Architect at Hadoop distributor, Cloudera. In the last six years, Hadoop has become one of the most powerful data handling and management frameworks for distributed applications. 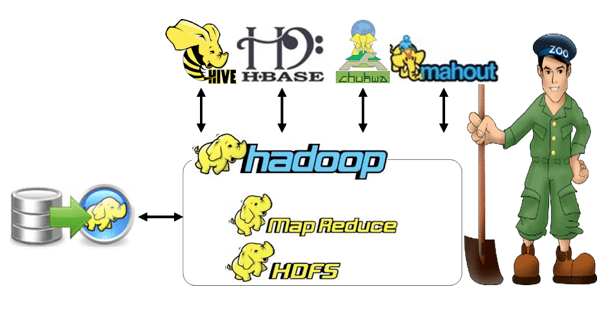 Named after the toy elephant of Doug Cutting’s son, Hadoop has its origins in Apache Nutch, an open-source web-search engine by Yahoo and a part of Apache Lucene project. It was originally started by two Yahoo employees, Doug Cutting and Mike Cafarella, in 2006. Doug and Mike were inspired by Google File System (GFS), launched by Google (for Nutch project) in 2003 to manage and process billions of data. To share it with the world, Google released white papers explaining GFS and MapReduce in 2004. However, there was not yet any working model to illustrate this big data analytics. This stimulated the two Yahoo! professionals, Doug and Mike so much so that they created an analysis and storage cluster to demonstrate GFS and MapReduce operations, and named it Hadoop. After a year, Yahoo started to use Hadoop and then in 2008, it was taken over by Apache, thus, presently known as Apache Hadoop. Though founded by engineers from Google, Facebook, Yahoo and Microsoft in 2008, Cloudera chairs Hadoop Creator, Doug Cutting as the Chief Architect. Completely devoted to Hadoop distribution, Cloudera provides Apache Hadoop-based software, support and services and training to business customers. Apache Hadoop is the emerging tool in the present scenario for accessing large sets of data. As the ecosystem continues to evolve, Hadoop becomes a significant part of most IT operations or for that matter, every sector dealing with large huge amounts of data. Analyzing the present training realm, you will be amazed to see the growing number of professionals aspiring to become Big Data Experts and gaining expertise in Hadoop and related technology. Hadoop Processional Training and Certification is the panache. The hiring outlook for Hadoopers is sizzling. The Annual Analytics Salary Report of 2014 claimed that the entry-level pays for Hadoop Analysts and Administrators have shown a 27% increase since 2013. Top multinational companies are continuously looking for Cloudera Certified Hadoop Professionals (CCDH and CCAH), and the individuals who have completed expert-level training in this framework. With the aim to create Hadoop Experts, we offer several Hadoop and Big Data online training courses. 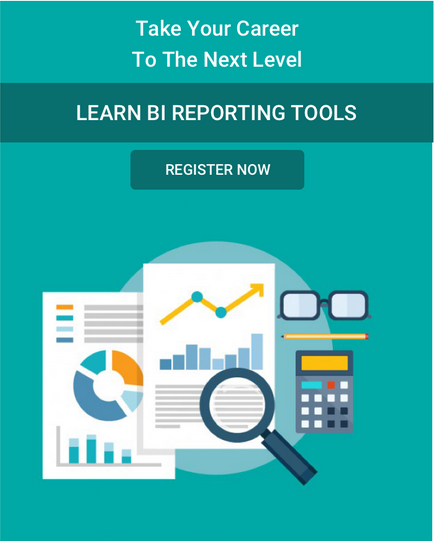 There are standalone courses as well combo training of Hadoop and Big data with other data analytics and visualization platforms. Browse through our Professional courses and learn from Industry-level Experts anytime, anywhere on any device.